One of the most popular parks in the area for swimming. Lighthouse, concessions, playground and historical memorials. 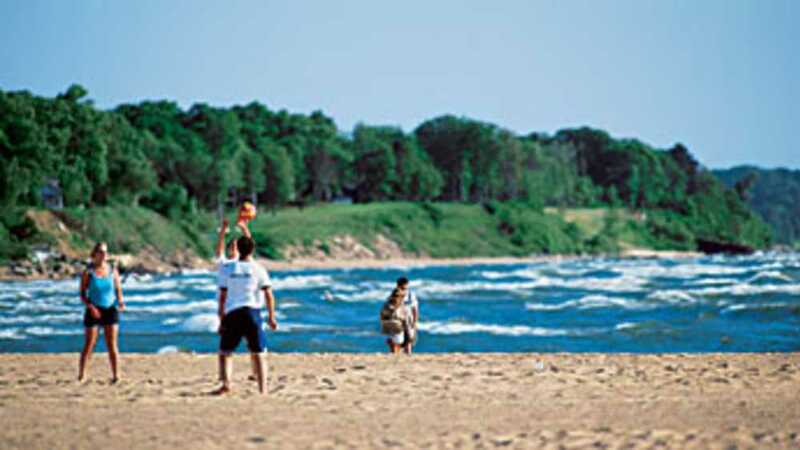 Bring your bathing suit and enjoy our beach in a refreshing dip into Lake Michigan and than stick around for our fantastic sunsets. No unleashed animals and no alcohol allowed. Open all year from 8am to 10pm, seven days a week.